Jersey (the old one, not the new one) recently updated its copyright laws and signed on to the Berne Convention, formally known as the International Convention of Literary and Artistic Works. So why am I blogging about an independent Channel Island’s decision to catch up with an important standard in international copyright protection? Because of the reasons Jersey authorities gave for changing their laws. That means any literary or artistic works created on the island are automatically protected under international copyright law. There is no need to apply for copyright or otherwise register those works. There are 167 signatories to the Berne Convention. Did you catch that? Jersey recognizes that the protection of creative intellectual property is important to its economy. When I think of Jersey, I think of creamy milk. Why? 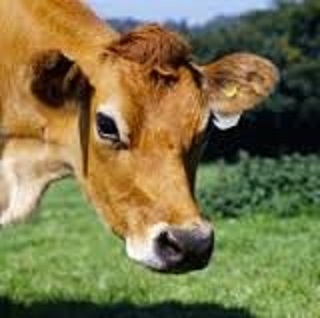 Because I love ice cream and Jersey cows produce milk with the highest butterfat content of all the dairy cows (4.9% -- don’t say this blog doesn’t teach you anything). If you love rich, creamy ice cream, you love Jerseys. But the Jersey economy isn’t much about cattle anymore. Dominated by its lucrative financial services and legal industries, per capita Jersey is one of the wealthiest places on earth, which underscores the importance of the decision to bring its copyright laws in line with international convention. With everything else Jersey has going for it, there was a recognition that IP protection is an important part of a healthy economy. That’s true on an international scale as well as at the individual level. Protecting your own IP matters, especially in today’s highly mobile, share-heavy economy. It’s nice to know you are protected by law, but you can take additional steps to protect your IP at the document level, too.